Juarez, Mexico – Local construction company Gateman-Milloy Inc. received the national award for corporate social responsibility, the CCA Community Builder Award, today at the annual Canadian Construction Association conference (CCA). CCA is the national body representing the construction industry to government and business. 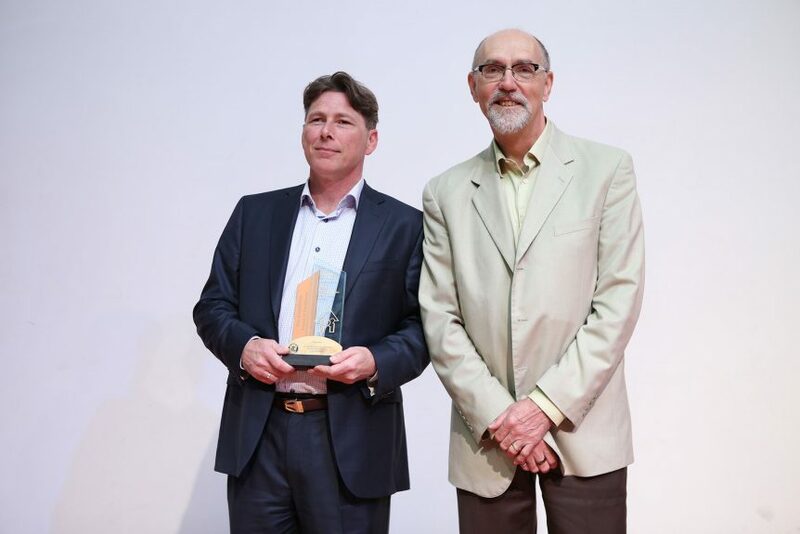 Annually, the association awards a dozen construction companies from across Canada for excellence in building, and with this award recognizes outstanding and sustained contributions to our communities. Gateman-Milloy received the award for its significant contribution to the Waterloo Region community and beyond over more than 35 years in business. Its efforts have included supporting such programs as: Conestoga College’s Heavy Equipment Apprenticeship Program; funding an endowment for high academic achieving engineering students needing financial assistance to complete their degrees; and, the Niagara Parks Commission School of Horticulture, the company’s founder and president, Michael Milloy’s alma mater. The company has also funded endowments for Wilfrid Laurier University and the Stratford Perth Community Foundation, as well as gifts in kind for Innisfree House, a palliative care hospice, and the Rare Charitable Reserve, a 900-acre land sanctuary in the Region of Waterloo. Since building its facility in 2004, Gateman-Milloy has continued to support KW Counselling as both a corporate sponsor and partner through donations both monetary and in-kind. And Gateman-Milloy’s employees are particularly proud of their fundraising efforts for Juvenile Diabetes Research raising $43,000 since 2013, and a number of other efforts on behalf of charities such as Grand River Hospital and Cystic Fibrosis. Gateman-Milloy is a respected construction company based in Kitchener, Ontario with a proven track record in both public and private sectors across Canada. What began as a small, landscape maintenance and contracting business in 1982 has grown into an award-winning construction firm. Today, Gateman-Milloy offers a full range of construction services, including commercial, industrial, institutional, recreational, residential, design-build and project management.